Mawrth Vallis has a rich mineral diversity, including clay minerals that formed by the chemical alteration of rocks or loose “regolith” (soil) by water. The CRISM instrument on the MRO spacecraft has detected a variety of those minerals here, which could signify different processes of formation. The high resolution of the HiRISE camera helps us to see and trace out layers, polygonal fractures, and with CRISM, examine the distribution of various minerals across the surface. This surface is scientifically compelling for the Mars Science Laboratory (MSL) rover, although some of the terrain can be somewhat rough. Scientists use HiRISE images to find the safest possible landing site for the rover. 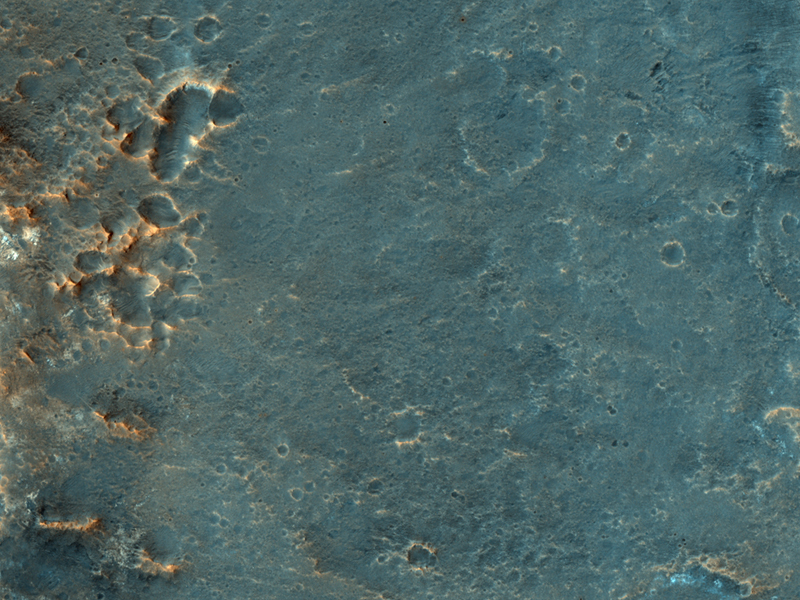 This is one of four candidate landing sites in the Mawrth Vallis region. This is a stereo pair with PSP_007678_2050.